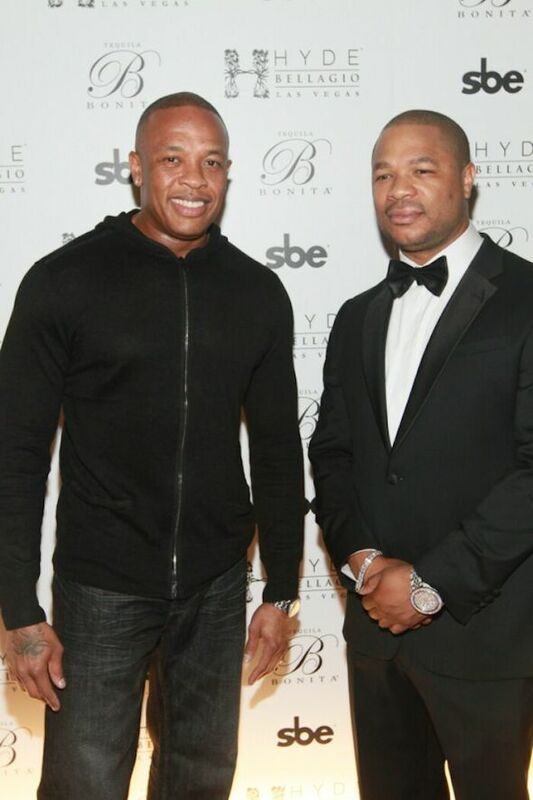 On March 2, successful hip-hop star turned business mogul Xzibit hosted a private, invite-only affair at Hyde Bellagio in Las Vegas to celebrate the launch of his newest business endeavor, Bonita Platinum Tequila. 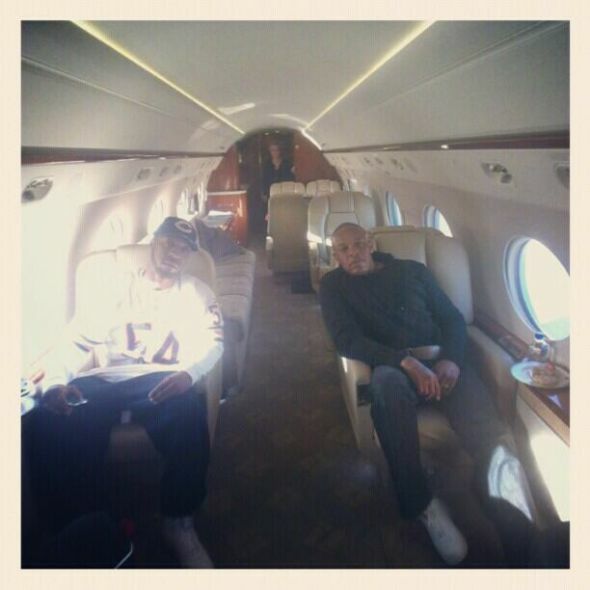 The star, who endorses and co-owns the premium beverage line, was joined at the Sin City Hot spot by Snoop Dogg and Dr. Dre. 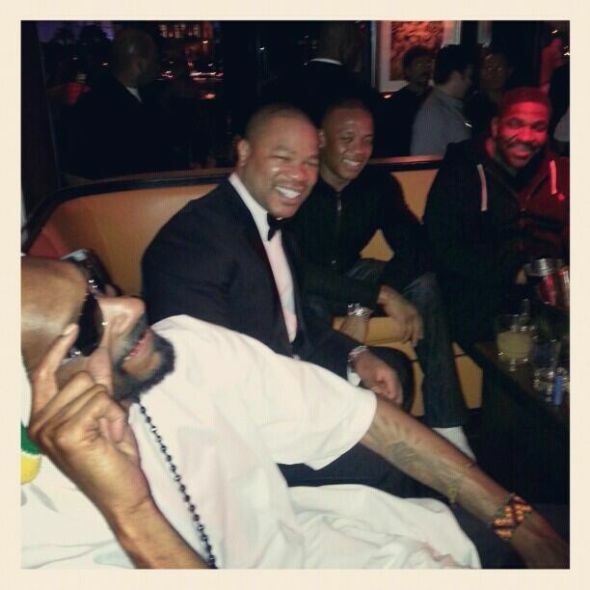 Looking stylish in a tuxedo, Xzibit greeted and posed for photos with his guests before joining the celebration inside where he caught up with Snoop Dogg, Dr. Dre, Mel-Man, King Tee and other friends at an intimate table tucked in a corner. Xzibit’s guests sipped specialty Bonita Platinum Tequila cocktails such as the X-tini and Bonita Rita while they enjoyed unrivaled views of the famous Fountains of Bellagio. At the conclusion of the private event, clubgoers flooded the venue ready for a night of fun. Xzibit and a small group of friends settled into a plush VIP booth beneath Hyde’s dramatic fireplace where they continued to enjoy the night. Later in the evening, Xzibit surprised the packed nightclub by jumping on the mic from the DJ booth. “I am so excited to be launching Bonita Platinum Tequila here tonight at Hyde Bellagio. Make some noise!” He said before rapping alongside beats spun by DJ Konflikt. Virgin Records’ Executive Ron Fair also attending in support of Xzibit’s Bonita Platinum Tequila launch. The crowd and club patrons were also treated to an impromptu rendition of a song from Xzibit’s latest album, Napalm. They then returned to their VIP booth where they continued to celebrate into the early morning hours.